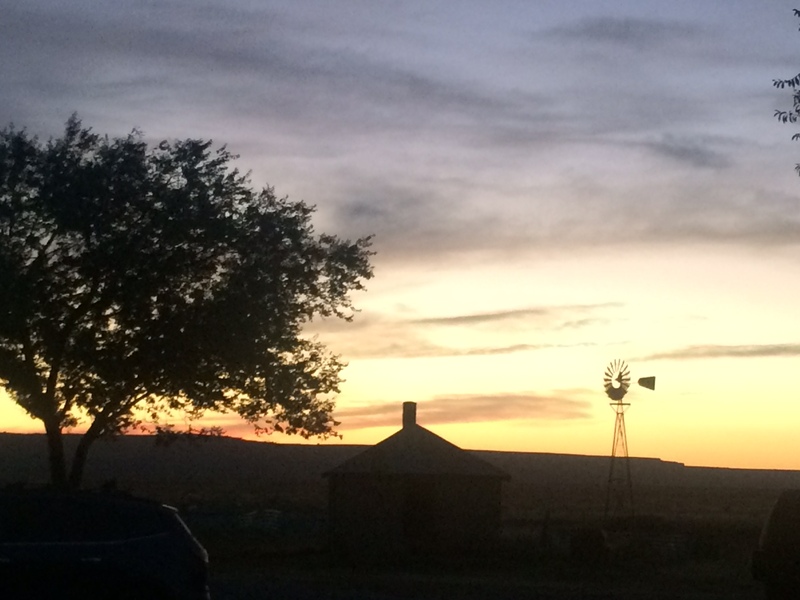 We are in New Mexico, visiting our great good friends, Jack and Tuda Crews. Several years ago (can it be 15?! 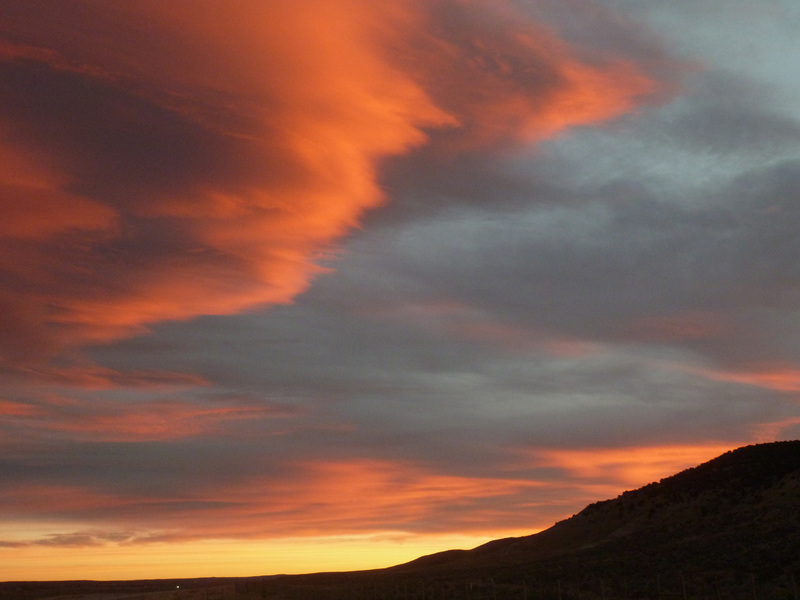 ), they left Wyoming and moved to Bueyeros, New Mexico, where Tuda’s family has ranched for many generations. 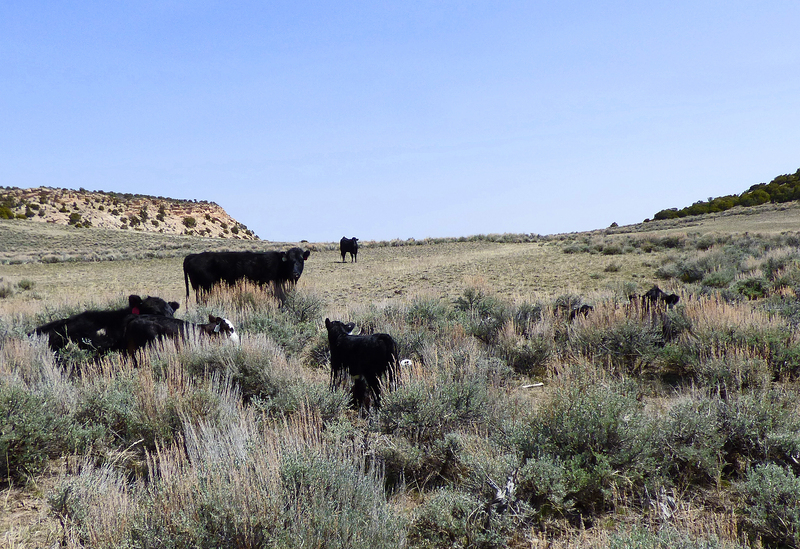 The Ute Creek Ranch has been recognized for its conservation practices, including the New Mexico Society for Range Management Excellence in Range Management award. Tuda and Jack have vastly improved their range and their riparian areas, in spite of many years of drought. The Aqua Balls reduce evaporation by 91 percent. 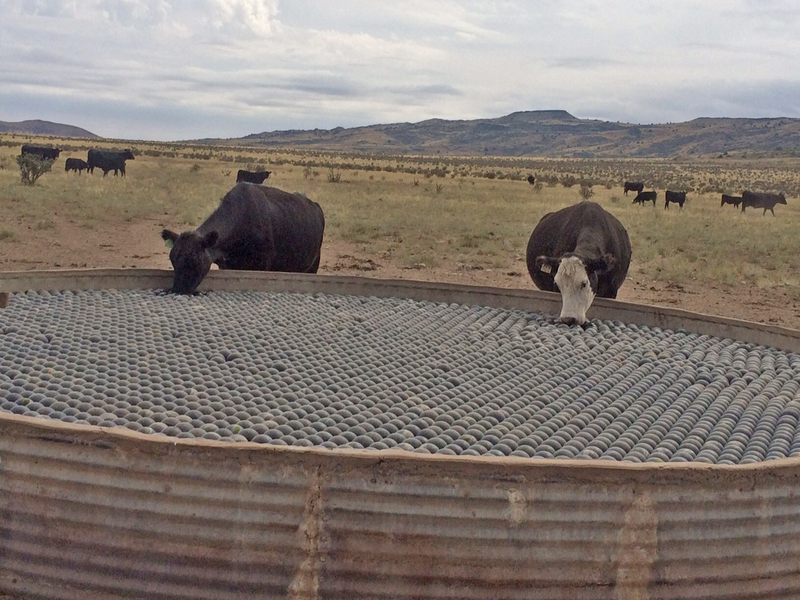 This saves 16,000 gallons of groundwater in a year, at this tank alone. 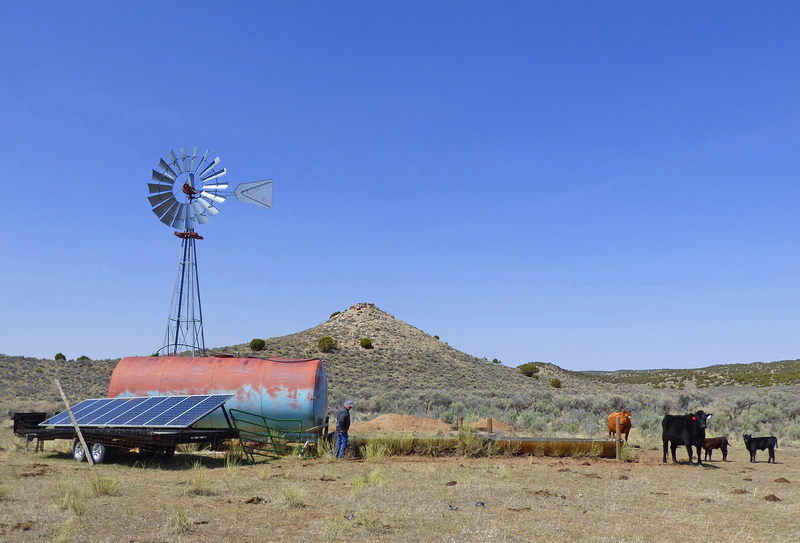 The tank is windmill driven and also provides water for wildlife. 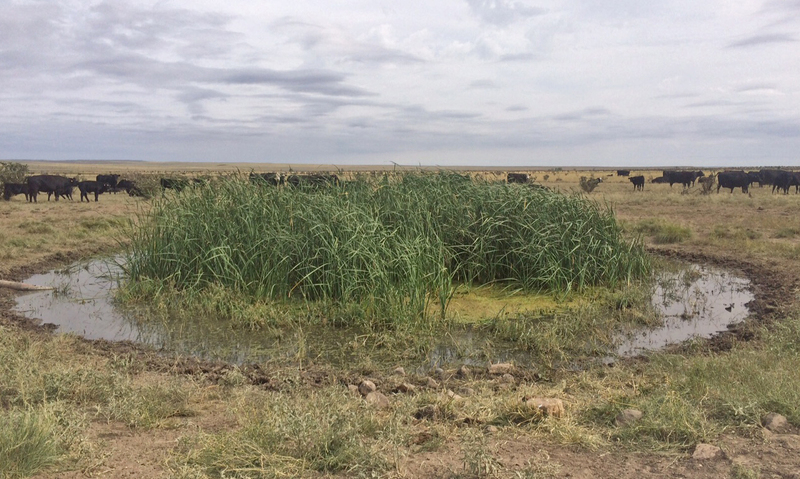 Each watering tank on The ranch has an overflow pond, which provides bird habitat. 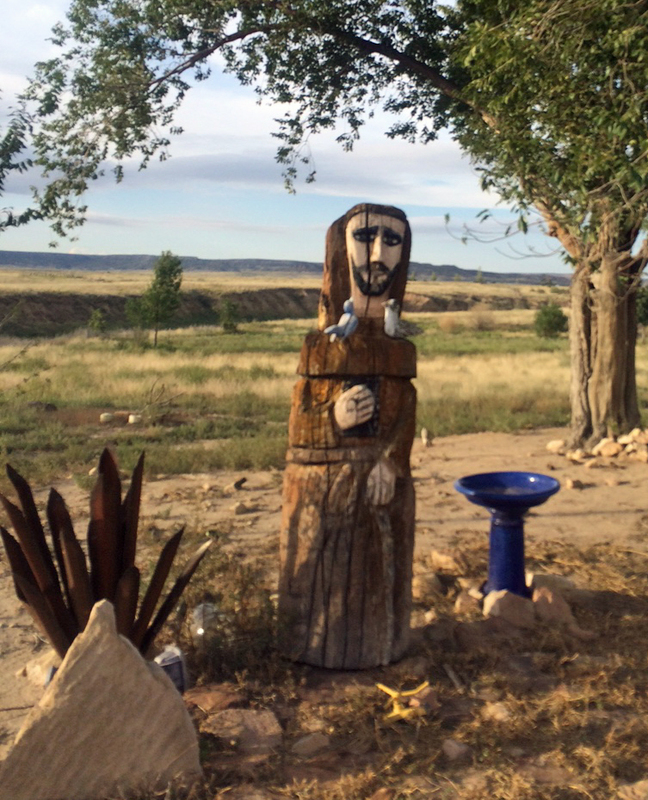 St. Francis overlooks the ranch headquarters, and the Tuda Libby Crews Wild Bird Sanctuary. 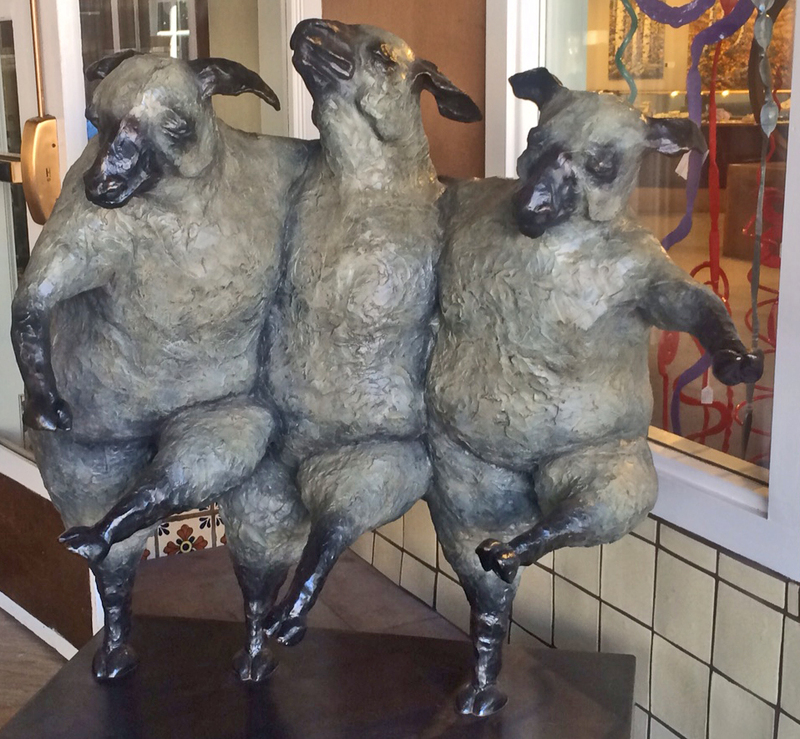 Northern New Mexico used to have lots of sheep, but these were the only ones we could find. 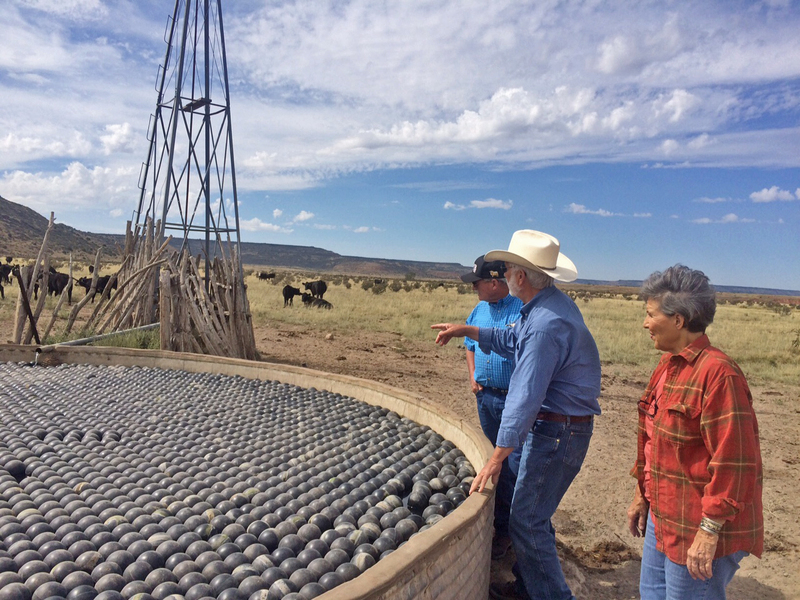 Today, Pat, Maeve and I toured our Red Desert grazing allotments, Chain Lakes and Cyclone Rim. 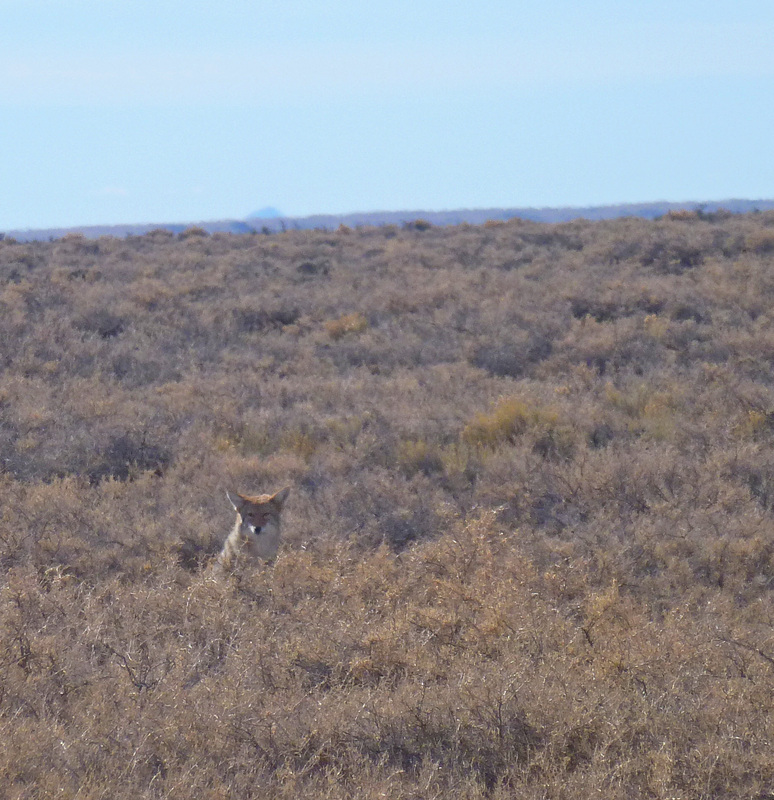 We went with our Rawlins BLM District Range Conservationists, Andy Warren and Mike Calton. We have had the privilege of working with Andy and Mike for many years. 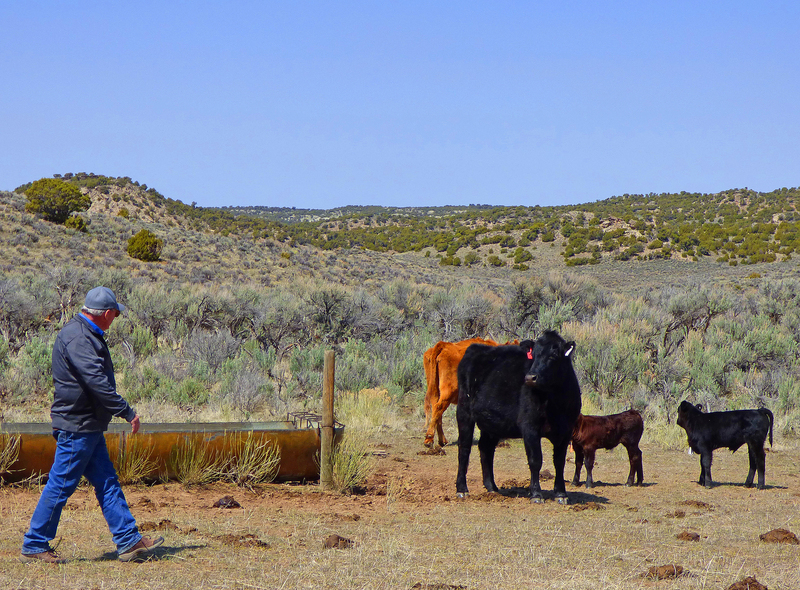 On our Colorado BLM grazing allotments, the range cons change with disconcerting frequency, meaning they never really get to know the vast public landscapes which they help administer. 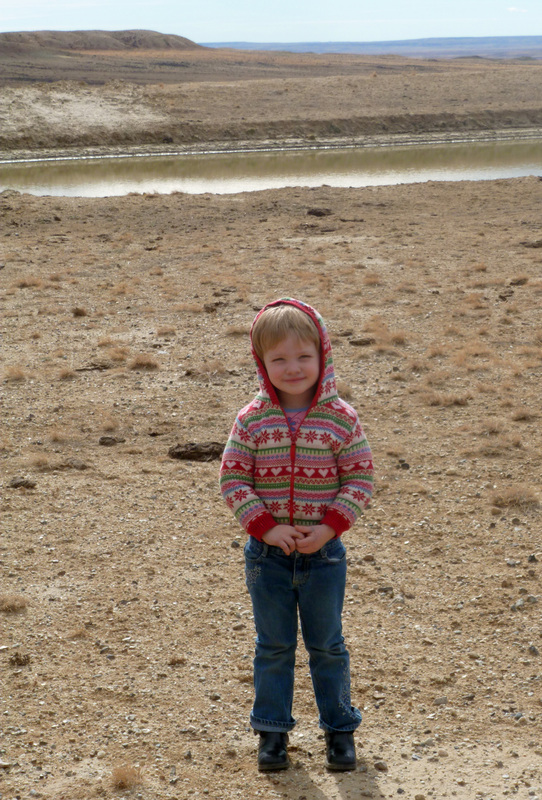 The Red Desert gives a whole new meaning to “vast.” We graze (sometimes in common with other grazers) some 60,000 acres with sheep in the winter months. 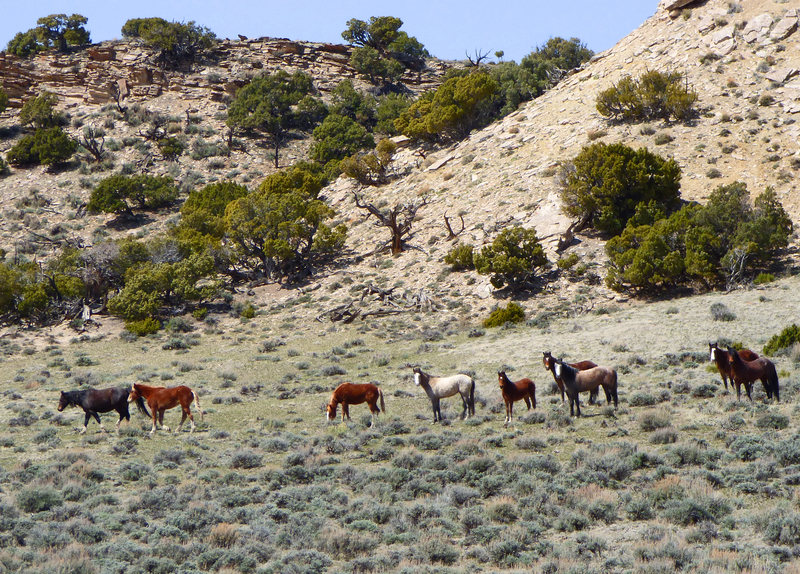 We share the grass with antelope, deer, and elk, as well as feral horses and permitted cattle. 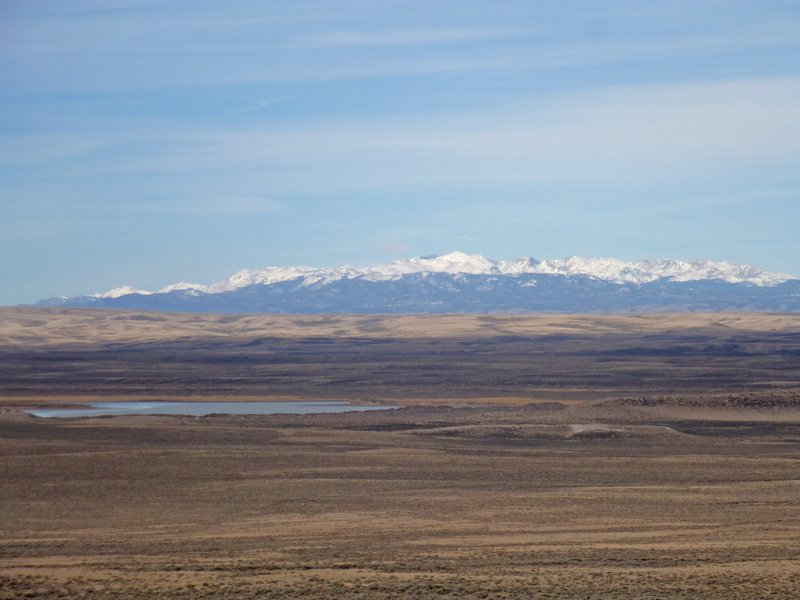 It also supports sage grouse, rare plants, reptiles, rodents and many other creatures, small and large. What it lacks is people. While some folks, mainly grazing permittees and the landowners of inholdings, know parts of this country very well, I doubt if anyone knows great expanses of it as well as Mike. Today, we were looking for water. Normally, we depend on snow to water the sheep throughout the winter months. We graze in a checkerboard (half BLM and half private) pasture, Badwater, through much of November, waiting for snow on the Red Desert. Our on-date is December 1st, so usually the snow comes just as it is getting too snowy in Badwater, which lies on the Continental Divide some 40 miles or so south of Chain Lakes. In this dry year, we are worried that the snows will not come early enough. 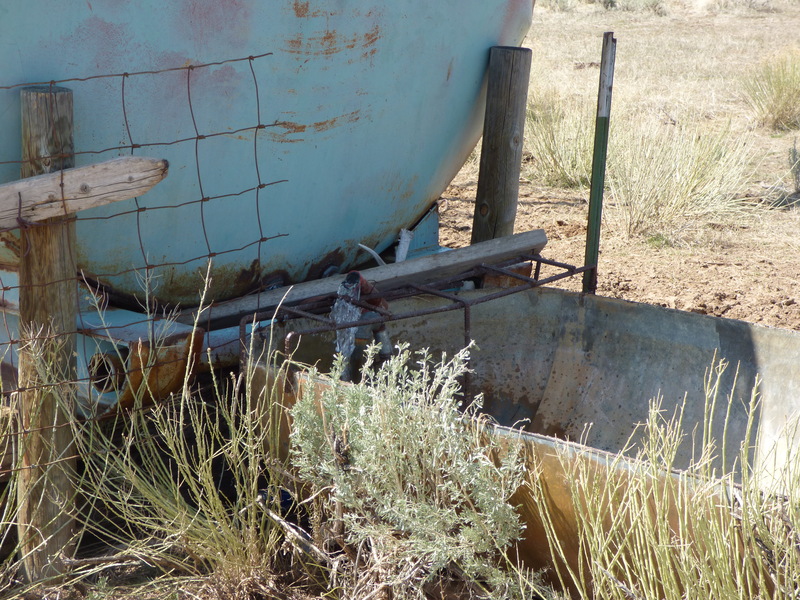 Fresh water exists on the Red Desert, but one has to know where to look. 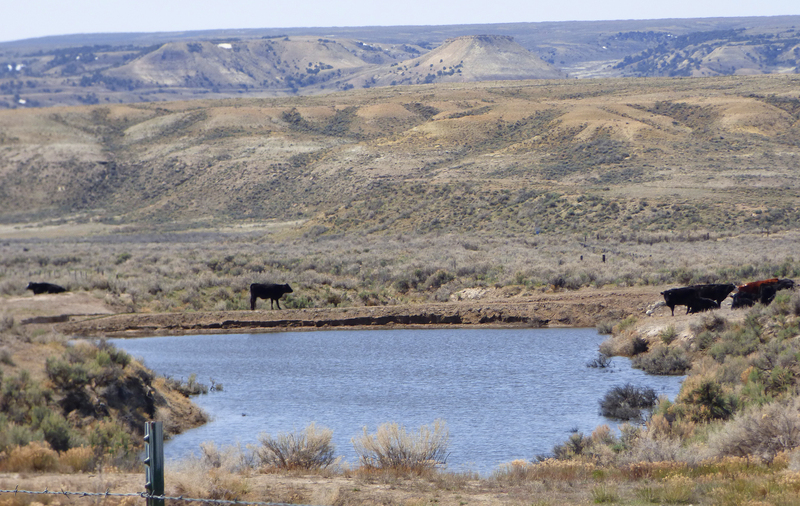 Mostly water is available is reservoirs and wells which have been developed by grazers, and sometimes oil and gas producers, benefitting both wildlife and livestock. We wound our way through the Desert, with Mike directing us onto faint two-tracks I had never seen. Enough water holes exist to get us by until the snows come (especially if we don’t get a period of dry, really cold weather) . We’ll sleep better tonight.